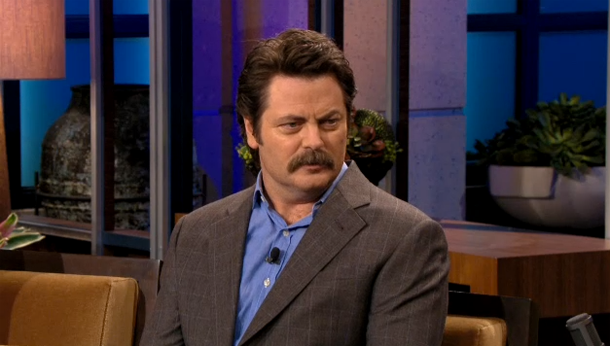 Nick Offerman on Parks & Recreation and new movie, Somebody Up There Likes Me. You are here: Home / News / Nick Offerman on Parks & Recreation and new movie, Somebody Up There Likes Me. Nick Offerman on being paid to act in plays and his roots as an actor. Check out The Filharmonic's cover of "Uptown Funk"